April 3, 5:41 p.m.: An officer on Galen Street spotted a vehicle make an illegal left turn onto Watertown Street. When the vehicle was stopped, police found that the driver did not have a license, and had an active arrest warrant. The 30-year-old Watertown man was arrested on the charge unlicensed driving, and the warrant from Chelsea District Court for assault and battery with a dangerous weapon. He was also cited for the marked lanes violation. April 5, 1:36 a.m.: An officer encountered two men walking down Church Street, and while they were speaking it was discovered that one of the men had several outstanding warrants. The 40-year-old Taunton man was arrested on seven warrants. Five were out off Boston District Court — one for breaking and entering a motor vehicle; one for attempting to commit a crime; the third for breaking and entering a vehicle during the nighttime for a felony; the fourth for trespassing; and the last one for possession of burglarious materials, destruction of property under $1,200, and attempting to commit a crime. The sixth warrant came out of Fall River District Court for shoplifting, and Quincy District Court issued the final one for shoplifting and possession of a Class B drug. 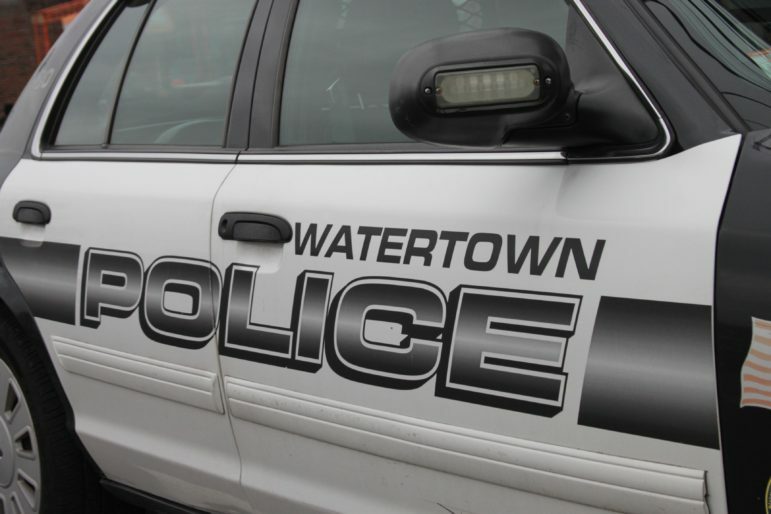 April 5, 9:20 p.m.: Police received a report that a Watertown resident had violated a harassment order. The 72-year-old Watertown woman was arrested for the violation. April 1, 8:34 p.m.: A locker was broken into at the Victory Field field house and a JBL boombox, worth $450, was stolen. April 1, 9:29 p.m.: A resident hired someone to come in and do work in his home. The person came over on March 31, and while he was there the resident left for about 15 minutes. Afterward the resident noticed that his wallet, a DeWalt nail gun, and a DeWalt sawzall were missing. Later, he learned his credit card had been used at Primo Pizza in Lynn for $50. Police identified the suspect, and a 40-year-old Saugus man was summonsed to Waltham District Court for larceny under $1,200. April 1, 10:55 p.m.: A car was broken into on Nichols Avenue. The vehicle was rummaged through and $30 in cash went missing. The incident occurred between 8:15 p.m. and 9:30 p.m.
April 5, 12:09 p.m.: A School Street resident reported that a vehicle parked in a driveway had been broken into. The victim said it occurred between 2 p.m. on April 4 and 7 a.m. on the 5th. About $5 in cash was taken. April 6, 10:28 p.m.: A Coolidge Avenue resident was doing load of wash when she noticed smoke coming from the dryer. When she opened it, the clothes were black and smoke came out. The Fire Department was called and dowsed the flames. The fire caused an estimated $8,000 in damage.